One of the most fundamental lessons I’ve learned from Agile is that 100% utilisation is a failure. 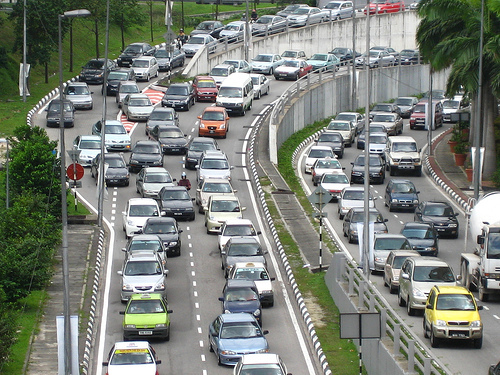 Consider a road or highway at 100% utilisation is also called a traffic jam. And yet, project managers are always asking for something extra. Something that’s more than you can delivery in the time available. Working at 80-90% utilisation means that your workflow is smooth, predictable and reliable, just like the highway in off-peak hours. What project managers actually want is smooth, predictable and reliable delivery but they don’t know how to ask for it. Your responsibility is to make sure that your total work output is at a high level. That is, completing designs, conducting research, writing reports, configuring and testing are all tasks that you can complete in good time. But don’t over commit yourself. Not for your sake (no one cares about you – who do you think you are!). Over committing your work just creates traffic jams for everyone else and sets you up for failure. Alternatively, 100% utilisation could be viewed as an efficient use of resources, if it happens to cause issues elsewhere I’d call it bad project planning, not sure how Agile could be viewed as prescriptive.